Brad Hunt ... Orin Hanner Jr.
Kris Kristofferson ... Orin Hanner Sr. Courtesy of Pioneer Music Group, Inc.
First, I have to say I can't really write a review of this movie because I started viewing it late when alot of it was over and missed a great deal. But I was reading over the reviews and noticed alot of people didn't seem to like this. From what I saw of it I liked it and though I maybe in the minority here I thought it was interesting and plan on watching it from start to finish. 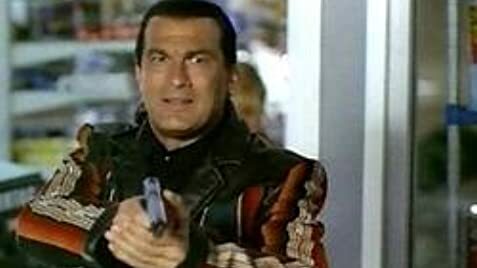 I must say I am not a real big Steven Seagel fan, I've seen little of his work and his movies do have a reputation for being extremly action oriented and violent. Since I'm not a fan of these types of movies, I have not gone out of my way to see his work. 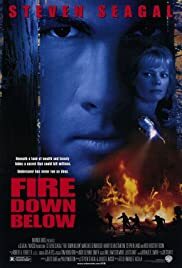 What I liked about this film was there was a solid plot, even though I came in late I was able to grasp(something) of what was going on, I thought the acting was good, the violence was less then I imagined it would be(of coarse who knows what occured that I MISSED!! ), I like Marg Helgenburger, and lastly being a big fan of atmosphere and good photography in movies, the vivid country scenes really caught my eye, they were very picturesque and I liked the country feel and mood to those scenes. Now it's possible that the whole first part of the movie was awful and I just happened to catch the good stuff. But I do know that the movie snagged my interest and made me want to see it from beginning to end.